Marine Mammal Monitoring Program Comment Request – Neptune 911! Editor’s Note: Do you have an opinion about seismic exploration and marine mammals? 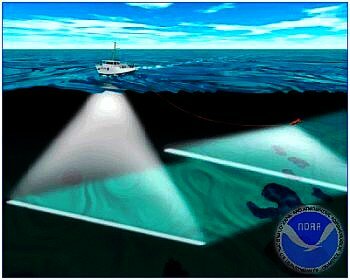 Recent studies have shown negative impacts on the hearing of marine mammals in waters where the blasts of seismic testing has been implemented. Other research shows no impact. BOEM, in cooperation with the National Marine Fisheries Service (NMFS), is issuing a request for information to aid in the development of a long-term monitoring plan (LTMP) for marine mammals in the Gulf of Mexico (GOM). The LTMP will focus on the potential impacts to marine mammals from geological and geophysical data acquisition activities, including seismic surveys. This LTMP is a required element of BOEM’s petition for rulemaking under the Marine Mammal Protection Act (MMPA).